It’s been a while! Forgive me. This series however is sadly almost over. 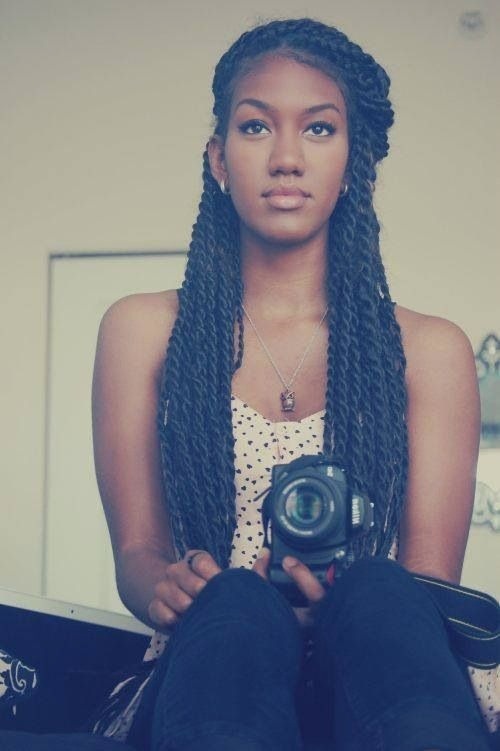 This post is more so to show all the styles I tried when I had my braids. That’s right. HAD. 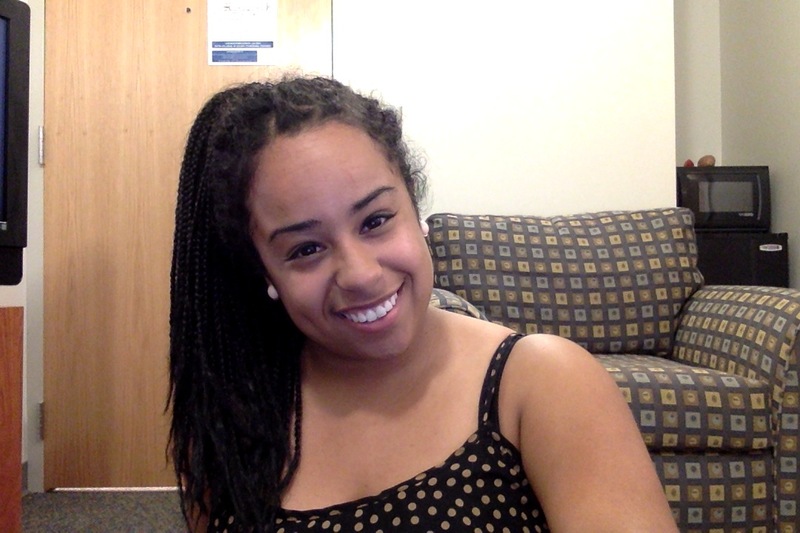 The braids are out. I’ll show you all this journey and then my last post of this journey will sum up what i’ve learned, and what I hope to explore a bit further. 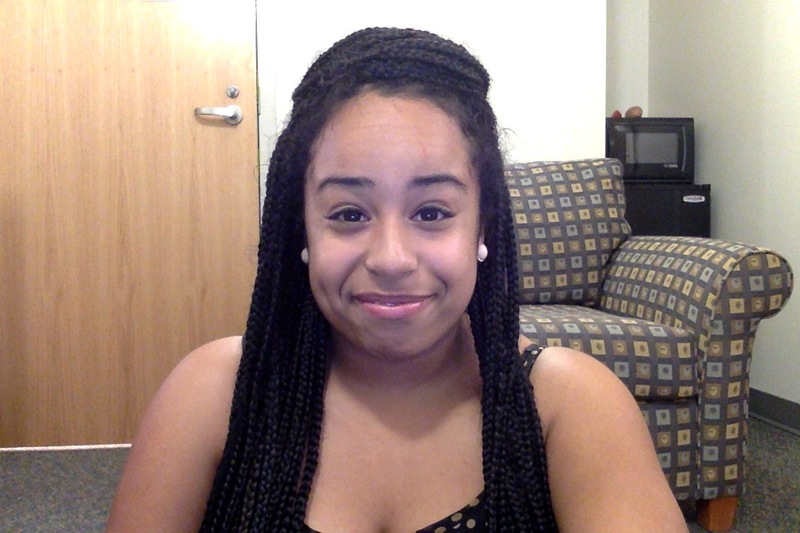 This was what I wore my hair like for the first few days after getting my hair braided. It was simple, and didn’t require big hair bows or hair bands. This was a style I found on twitter….I was trying to make it work, i don’t really know how it came out. This was probably one of my favorite styles to try. Although getting my hair up in a ponytail would take FOREVER. It was fun to accomplish it in the end. This I have no idea. Another attempt at the pinterest styles. I began to undo my hair about two weeks ago. They were getting awfully frizzy and I just didn’t feel good in them anymore. And so that weekend when I surprised my mom by going home. 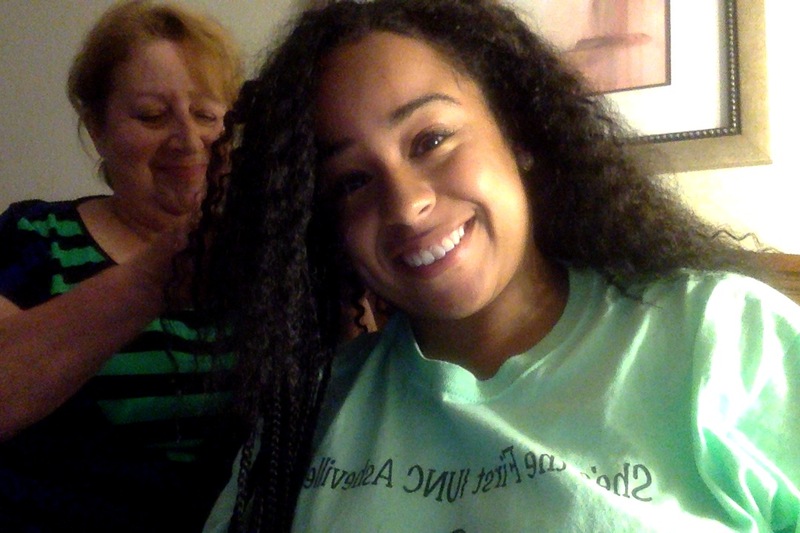 I asked her to help me take them out, which as someone who didn’t really like my braids she was more than happy to do. It took about 4ish-5ish hours or so. 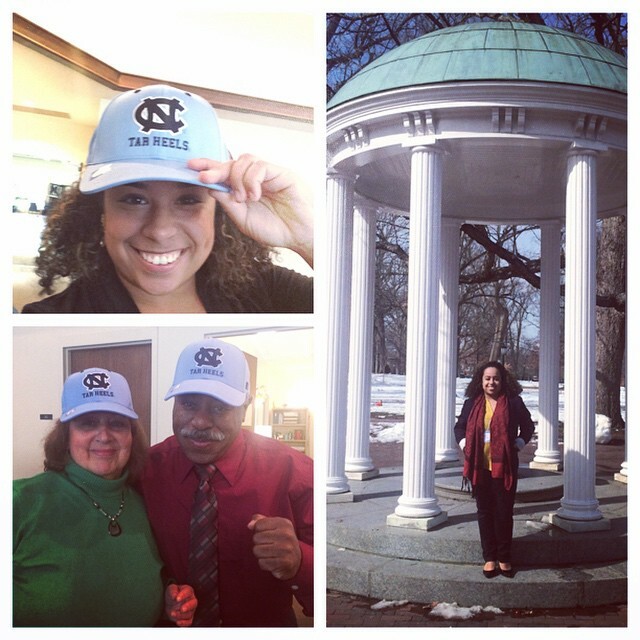 A lot of patience….until finally…. 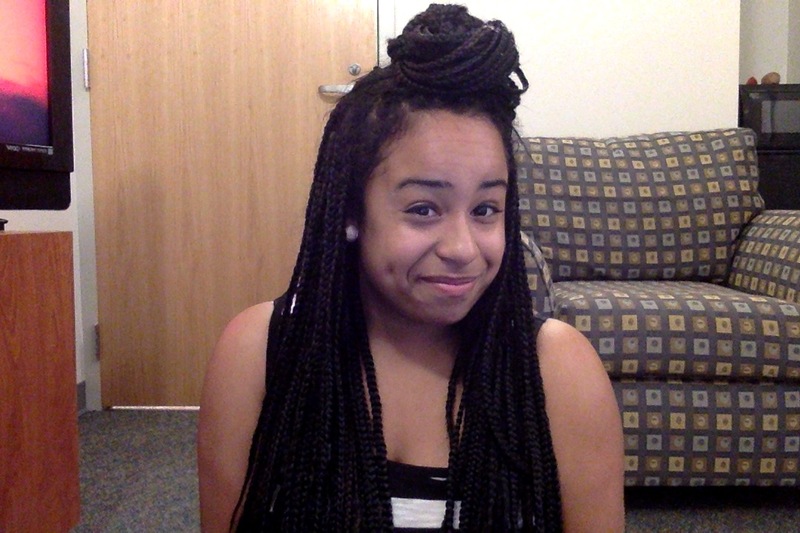 A bag full of weave was all that was left…and my hair was looking like this once it was all out. And the next morning after using the conditioner and shampoo I’d bought to help my hair start the repairing process. Taking the hair out is much harder than I thought it would be. My hair can actually dread. I missed my hair a lot. 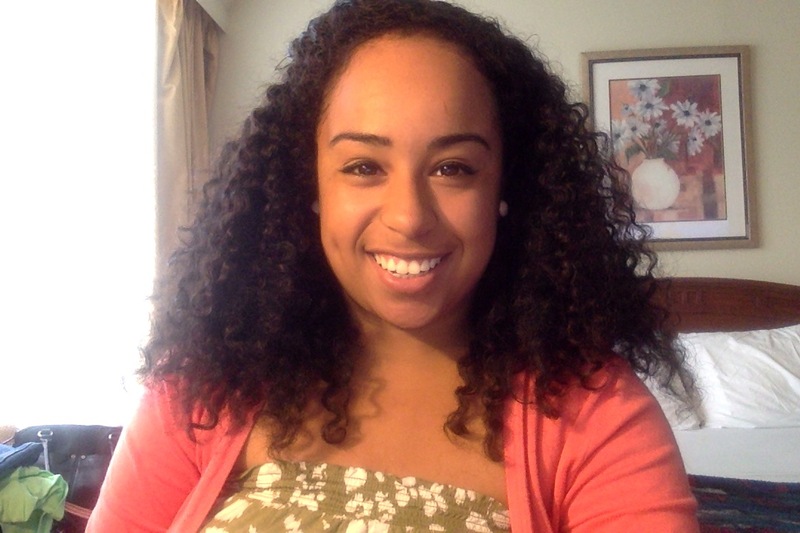 My curls were a bit traumatized, and it is going to take some time to get them back up to speed. My hair has never been so soft in my entire life. My hair was thicker but shorter. How? I have no idea. My hair is sensitive, and it’s important especially now that the braids are gone, that I actually invest in products that keep my hair healthy. 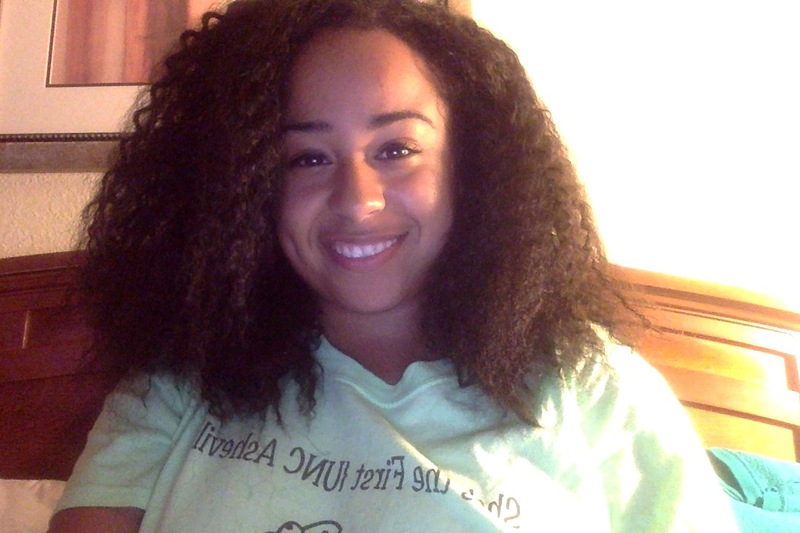 Bye-Bye Braids, WELCOME BACK Curls!!! 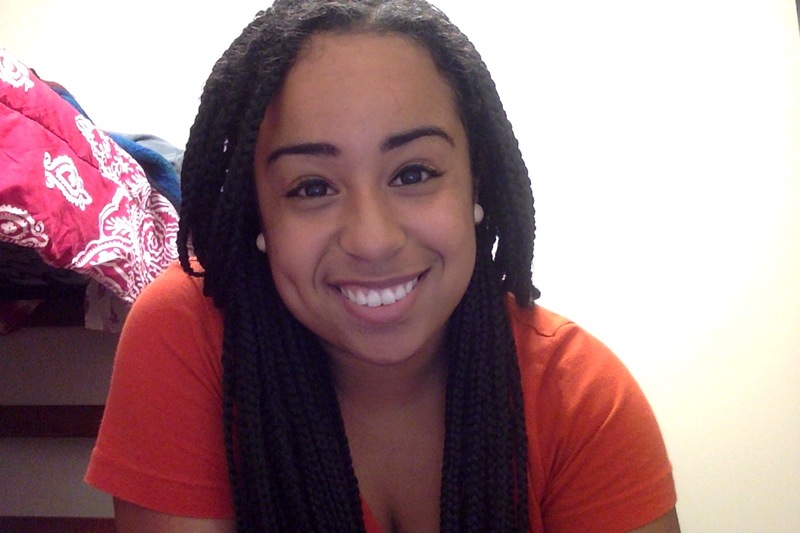 Probably the hardest part of getting braids for me was deciding to actually get them. I had the support and encouragement of many of my friends, and they assured me it wouldn’t look weird (which I assumed in my head it would) and that they’d help me figure out how to manage them. And so after going back and forth about a million times, I finally agreed to do it. You see, my hesitation came from the fact that this was a style unknown to me. I’d literally, just this past semester come to terms with my curly hair and how much I actually love the fact that it doesn’t listen to me. I just learned how to take care of my curly hair, and accept that it’s not a fro, but it’s pretty awesome, and if I take care of it, it will be awesome for a very long time. So now, to think of changing my entire head in this fashion was a challenge for me. When it came to my mind to turn it into a sociological experiment, then it became more acceptable in my mind. Why? Well I believe its because I didn’t want to confront the real reason I was hesitant. Scared of something that I’ve actually always wanted to do, but have never had the courage or belief that I would ever get to do. 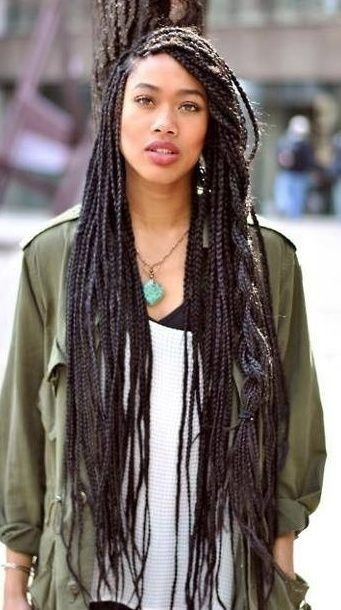 I’d always admired my friends who would get box braids and wondered how they even worked, because believe me when I say I had no idea, I truly had no idea. Scared that I couldn’t pull it off, the same way I didn’t pull off that awkward red hair I accidentally had in the 8th grade after dying my hair to get a lighter brown. So what I did was, tell people. I told people I knew would hold me accountable for this big change I was going to go through, and that’s what held me to it. 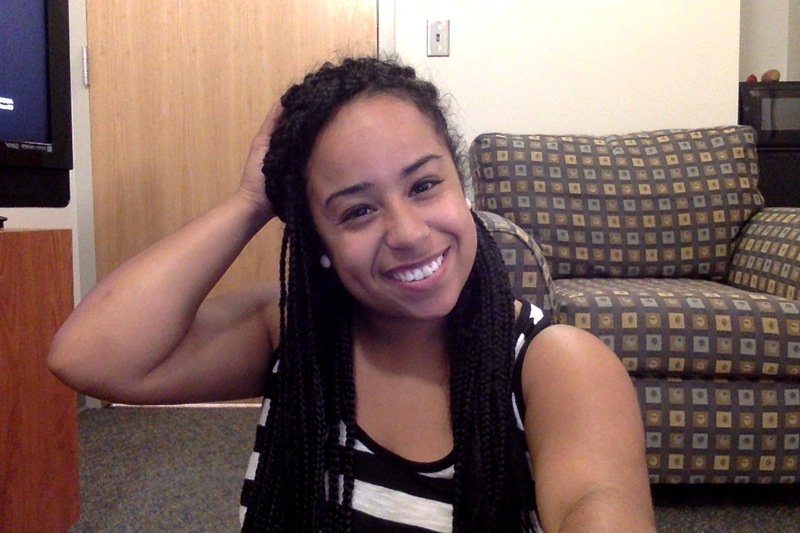 I’m a person of my word, and so if I said I was getting braids, then I had to get braids. Let me tell you about my process. Let’s start with my inspiration. When I finally decided that I was going to go through with this, I looked for inspiration. Where you ask? Pinterest of course. The picture on the left, was how thick I was thinking they would be. The one on the right, was how long I dreamed of them being. They aren’t that long, but they’re long enough. BELIEVE ME. Any longer, with my height (or lack thereof) I would have been tripping over my own hair, no good. My friend Jayana Lott is the beloved, endless patience having person that did my hair for me. And I must have nagged the mess out of her about when we were going to the store, and insisting that I went. She was always nice about it, and finally we went to : Venus Beauty Supply on Patton Avenue in Asheville, NC. A whole new world for me. You see, I’ve never used weave before in my life. Never bought it, wouldn’t know the good kind from the bad kind on the shelf even if I guessed. The closest thing I’ve ever had to using weave was that one time when I was 7 and I had a clip in ponytail for no reason except all the other girls had them. When we went inside, she immediately told me “now this is the braiding hair over here” and I nodded, trying to pretend that I knew that there would be more than one type of hair for different types of styles. The style I got was called Kanekalon hair by Vivica Fox. Let me pause to say I didn’t know you could have your own weave line either. 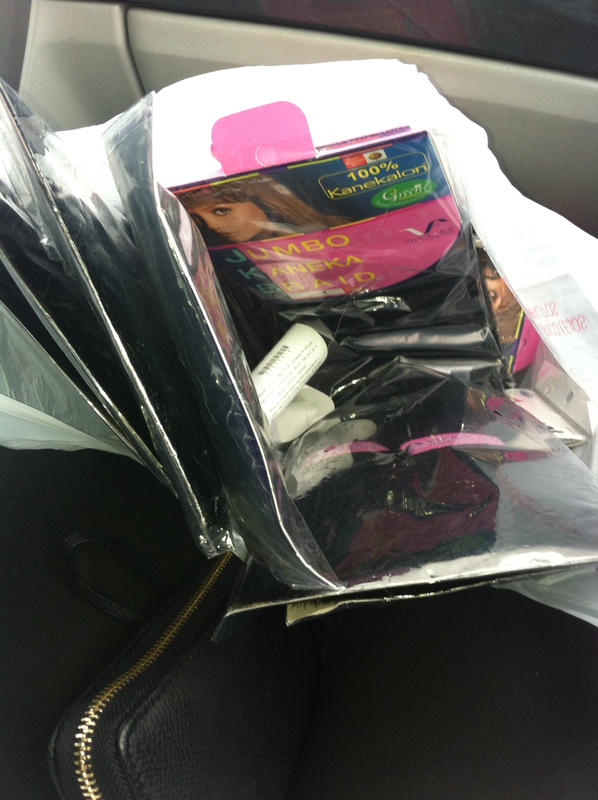 We bought 6 packs of hair initially and it came to around 14 dollars. I also discovered that this store also has any type of hair ointment, gel, conditioner, lotion, mousse etcc that you would ever need. So I spent time gawking over that too. Once we bought the materials she told me that she wanted to start at about 9 or 10 am the next morning (April 19th) and I said okay, completely underestimating how much time it would take. She told me it would take 8 hours or so, some people even said 16 hours. I didn’t know what to expect. I ‘m so happy that I got it done on campus, with someone that I trusted, because sitting in a salon with a stranger for more than 90% of the day was something I was just not prepared to do. The preparations were what had me the most excited. I was still nervous about what they would look like, and at this point I’d told my mother who still didn’t really understand what I was doing or why. The only thing left for me to do was actually sit down and get them done. Literally. 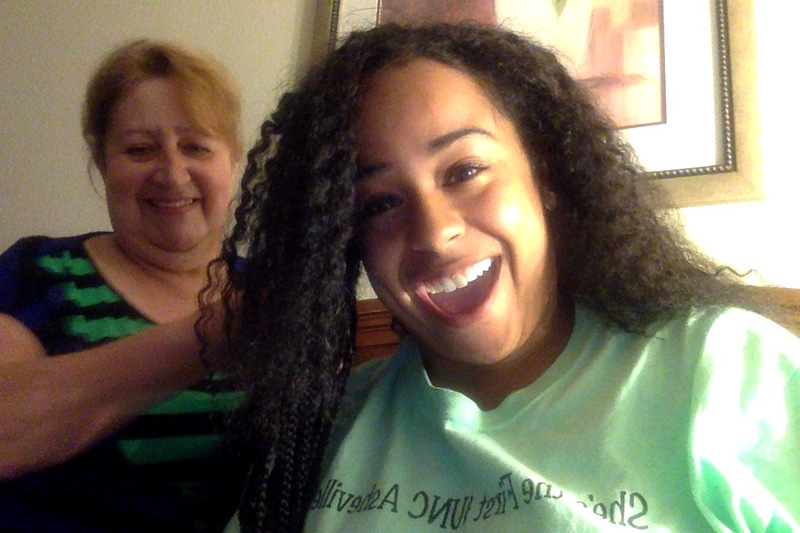 Part 1B: 11.5 hours of my life—Braiding Process coming later this week!